Mercedes started produced of the M103 3.0-liter inline six-cylinder engine in 1985. It was designed for replacing the outdated M110 engine. 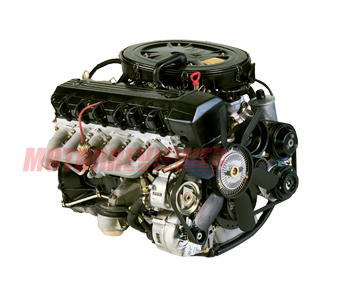 The M103 engine has unified design with 4-cylinder M102 series. The M103 series also includes the 2.6-liter version (the M103 E26 ). The engine has the lightweight cast iron cylinder block, aluminum cylinder head with two valves per cylinder, a single overhead camshaft, and hydraulic lifters/tappets. There is SOHC configuration of the valvetrain for reduction of the engine weight and production cost. Valves are the same as 2.0-liter M102 (intake valve diameter - 43 mm; exhaust valve diameter - 39 mm). The engine has a mechanical fuel injection, which is very difficult to repair and adjust (KE-Jetronic). There is a single-strand timing chain also. The M103 was wholly taken off from the production in 1993 and replaced by the M104 series 3.0l engine. 1. Unstable engine speed. Bad injector nozzles cause this very often and the common issue. 2. Oil leaks. Oil likes to leak from crankshaft oil seals and the U-shaped front cover gasket. Also, valve stem seals are not very good and can be the reason for high oil consumption.